to latest European General Data Protection Regulation (GDPR) law by letting users know what personal data it collects from users. WhatsApp group video calling has reached select users on Android and iOS and is expected to be available to general public soon. This feature can be seen during a one-to-one video calling on WhatsApp. During the call, a small icon is visible on the top right corner of the screen from where users can add more people in the particular call. Through this feature, users can create a report of their WhatsApp account information and settings, which can be accessed or ported to another app. This report, however, doesn’t include personal messages. Once you open the report you will find your information such as your phone number, previous IP connection, device type, device manufacturer, profile picture, all your contacts’ numbers, groups names that you are part of and the contacts you have blocked. WhatsApp is reportedly rolling out a "Restrict Group" feature for its iOS, Android and Windows Phone apps. This feature will only allow WhatsApp group admins to send messages in the group. While all group members will be able to see these messages, only admins will be allowed to respond to these texts. Other group members can only read them. The ‘Restrict Group’ feature will also prevent non-admin participants from sending photographs, videos, GIFs, documents or voice messages if the group admin or admins doesn’t allow them. Facebook is reportedly testing a new feature for mobile app which could enable Facebook’s content to be shared on WhatsApp. While there is no official confirmation from Facebook or WhatsApp on the same, several beta users claimed to have received this feature on their Facebook app. So, how will this feature work? Once you tap on the ‘Share’ button on the Facebook app, you will be given three options- ‘Share Now’, ‘Write Post’ and ‘Send in WhatsApp’. If you opt for a particular content on Facebook like an image or video to be ‘Send in WhatsApp’, you just need to select this option from the ‘Share’ menu and a link will be generated. This link can be shared to any WhatsApp contact. For the Android business app, WhatsApp will reportedly add ‘Chat filters’ that will help admins of WhatsApp Business accounts search messages quickly. The ‘Chat filters’ options will group users in unread chats, groups and broadcast categories. The admin will just have to tap on the search bar to access these filters. This is very similar to the ‘action button’ on Instagram which helps businesses to bring chats of priority customers directly to the inbox. 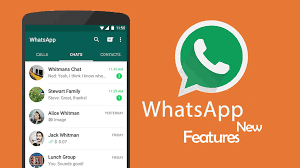 With this feature on WhatsApp, businesses can expect to have better and timely communication with their priority and potential customers to provide better service.